This 3 course bundle makes renewing your PA Massage License a breeze! No Time Limits. No need to mail anything back. No wasted paper! Professional Ethics guide and inform the individual massage therapist and the massage industry through understanding and obeying state laws and requirements, setting standards for education and the practice of massage therapy, promoting professionalism, defining right and wrong conduct and demonstrating respect for every client. Students will review key terms, the eight principles at the foundation of ethics, the code of ethics, scope of practice, professional boundaries, transference and more. 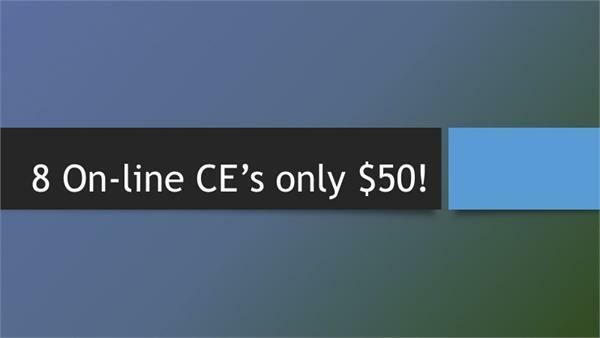 The following 2 CE course is required for Pennsylvania LMT's to take at every renewal period. Students will learn a basic introduction to aromatherapy including the anatomy and physiology of smell, how essential oils are made, the quality and grade of essential oils, common techniques and application for essential oils, properties of commonly used essential oils and conditions treated. Students will complete 2 exercises and an exam during the workshop.